Some individuals must pay taxes before the April 15 deadline. 2. Who Pays Quarterly Taxes? We all prefer to pay later rather than earlier, especially if the money is going to the taxman. However, many filers are obligated to make estimated tax payments before the April 15 deadline. It's an unpleasant surprise to find out in the spring that not only do you owe a big tax bill, but you should have sent a check to the Internal Revenue Service long ago. Even worse, your oversight could carry significant penalties. For many taxpayers, making payments based on their estimated tax liability is not just a way to spread the tax burden over time, but mandatory. If part of your income is not withheld and sent to the IRS by an employer, broker or corporation whose stock you own, and your income as well as total tax liability exceed the thresholds specified in the tax code, you must send a payment to the IRS every three months. Failure to do so, unfortunately, carries a penalty. Making payments to the IRS before the end of the year also makes budgeting easier. 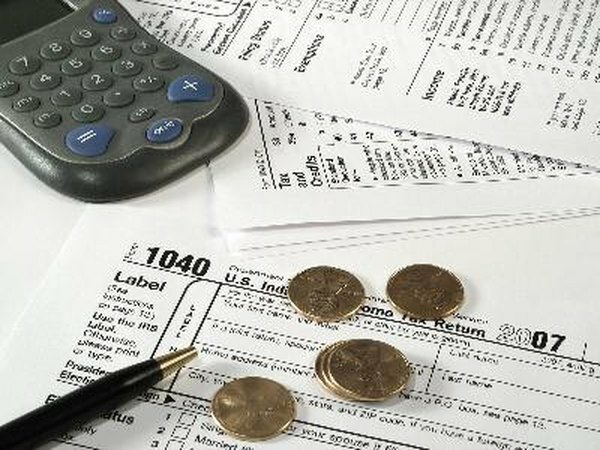 Most people dislike dealing with taxes and do not calculate their tax liability or refund until the filing deadline. Suddenly realizing that you owe a good chunk of money, which you must send along with your tax forms, can result in a last-minute scramble. Quarterly payments, on the other hand, are much smaller and easier to handle. While having to deal with taxes four times a year may sound unappealing, making quarterly payments helps you to stay on top of your paperwork. It is far better to catch a mistake before the end of the tax year. If, for example, you realize that you are missing the receipts for your gasoline and auto maintenance expenses, which may be deductible, it may be easier to get copies from your local mechanic or gas station before too much time has passed. Trying to get missing paperwork from a year earlier is far more difficult. Catching mistakes early also helps avoid a similar oversight during the rest of the year. The sources of income that most frequently result in estimated tax liability are self-employment, interest income, dividends, alimony, rent, capital gains from asset sales, prizes and lottery income. If taxes are not withheld automatically, you may end up owing money at filing time. Broadly, the IRS says you must pay estimated taxes if you fit two criteria: you expect to owe $1,000 or more after deducting withholding and credits; and your total withholding and credits are less than 90 percent of your estimated tax liability for the year or less than your total tax from the previous year's return, whichever is smaller. CNN.com: Who Pays Estimated Taxes? What Is the Penalty for Paying Federal Estimated Taxes Late?